Utilising the principles: Control, Centreing, Flow of Movement, Precision and Breathing; Pilates was developed to enable a person to live within their body free from weakness, pain or limitations. At Personal Best we endeavour to assist our clients to reduce stress, rehabilitate and prevent injuries, and strengthen and calm their mind and body through complete central focus and physical engagement. We aim to create an understanding and awareness that we only have one body to live in, we need to cherish and nourish it to enjoy every possible moment. At Personal Best we believe that every ‘body’ is unique, and offer a range of training styles to accommodate any age and physical level. Pilates is a fantastic, low impact form of exercise that improves not only a persons’ physical health, but also their mental well-being and flexibility. It uses a range of equipment as well as mat exercises to rehabilitate, strengthen and condition the body. At Personal Best, you will experience a unique and personalised total body workout that will challenge your mind and your body using the latest equipment. Relax in the air-conditioned studio and be led by your instructor through a 45 minute power session of exercises that will awaken the mind to the body, burn calories and strengthen muscles you never knew you had! Each of the classes are conducted by qualified and passionate instructors who are dedicated to a safe and supportive training environment. So what are you waiting for? Contact one of our friendly staff today and discover the body you have been dreaming about. Reformer – Essential for first time users of the Reformer and great for clients who just need a refresher. Discover an exciting new way to move and strengthen the body with the use of this specialised Pilates equipment. If you have tried Mat Pilates and want to challenge yourself even further, then Reformer Pilates is the next step. This class covers all the basic exercises, terminology and functionality of the Reformer. Power Reformer – For anyone who has completed 4 Reformer classes, or those who are familiar with the Reformer this class challenges the student to push themselves further. With higher intensity exercises, you will be guided through varied routines every class! This class is fun whilst being challenging and will leave you feeling fantastic! Prime Pilates – You will cover the fundamental elements of posture, centering, flow of movement and breathing in this fast paced, 45 minute session. This is a rigorous workout designed to test the mind and body, lengthen the limbs and test your limits! Power Play Pilates – Mat Pilates introduces a whole new element to its traditional teachings of alignment, breath and technique – balls, bands and rings! Pregnancy Play Pilates – Take the concern out of exercising whilst pregnant. Pilates is the safest form of training possible during the pre and postnatal stages. This class is focused on lengthening and strengthening the muscles within safe limits, breath, body awareness and flow of movement. It will incorporate the use of balls, bands and rings. All Pilates classes are 45 minutes in duration and classes start on time. Please arrive early in order to ensure you are ready to start and to avoid interruptions during the class. Pilates will benefit anyone and everyone! This form of training is based on body awareness and connection, and strengthening through a series of low impact exercises designed to lengthen the muscles. It is commonly used in training professional athletes such as Footballers, Dancers and Olympic Weightlifters! A reformer is a spring loaded machine designed to add resistance training to the Pilates method. It can be adjusted to suit your body shape and flexibility, and allow you to work to your own level. The reformer uses all parts of the body through the use of straps, bars and boxes to work the different areas of the body. What is the difference between Mat, Reformer and Barre Pilates? The fundamental elements of all three styles of Pilates classes is the same, the difference lies in the apparatus integrated into the exercises which brings about slightly different areas of focus during each session. How many times should I come per week to see results? Can I practice Pilates if I have an injury, illness, weight issue or pre/postnatal? Most definitely! Pilates training is designed to inflict no pain or strain on the spine or any joints. It is an impact free style of training, and regularly used in rehabilitation as it has been found to help prevent, manage or even eliminate existing injuries. Absolutely not – more and more men are discovering the benefits of Pilates training. Do I have to do group classes? No. 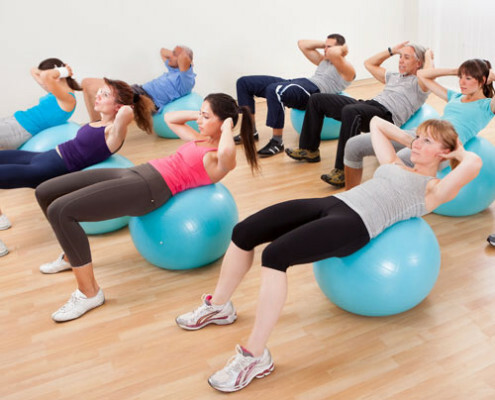 There are options for individually instructed Pilates classes. 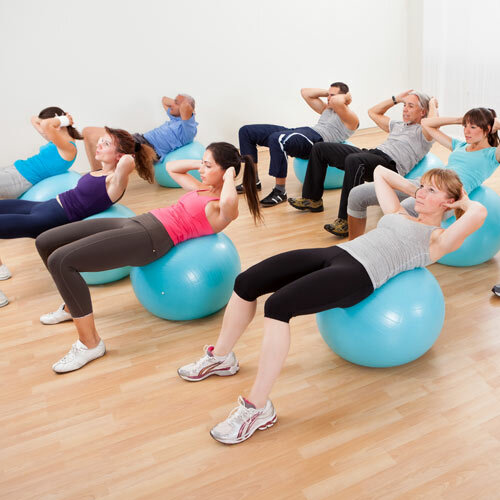 Pilates is suitable for any age and fitness level. The earlier a person can begin to discover how to control their body, the more beneficial it will be for their strength and alignment throughout life. Do I need to book into a class? Yes, the classes can book out and we don’t want anyone to miss out. We provide mats for all classes, we ask that you bring along your own towel. If you have your own mat you are more than welcome to bring it along, or you can purchase one from Reception.